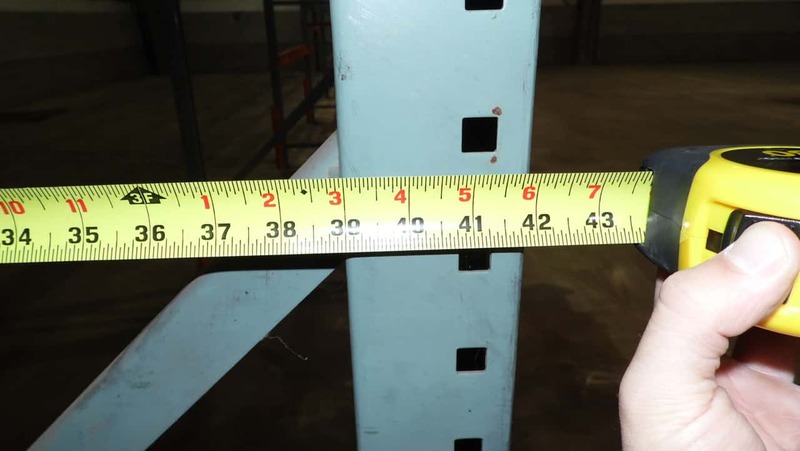 Excellent Condition Used New Style Pallet Rack Upright Frames – 42” Deep x 22’ High x 3” x 3” Column. Capacity: 35200 @ 48 spacing. See (Product Description Below) for additional information & Feel free to Call Us Today for Additional Information. Save Money by using MHE’s Used New Style Upright Frames. With the exception of maybe a few scratches, our used Upright Frames are in Great Condition. If Our Used Equipment doesn’t look good then we simply don’t sell it. 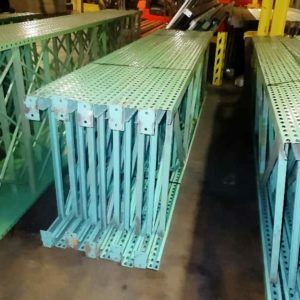 Price Savings on Used Pallet Rack Uprights vs. New. Quantity Discounts are Always Available-Call Us Today or Request a Quote. Free Warehouse Layout & Design on CAD. 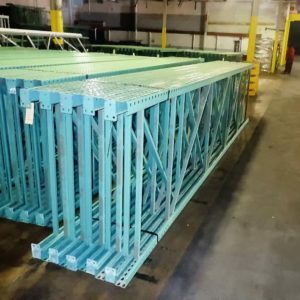 Material Handling Exchange (MHE) has provided our customers with great quality new and used material handling products since 1989. 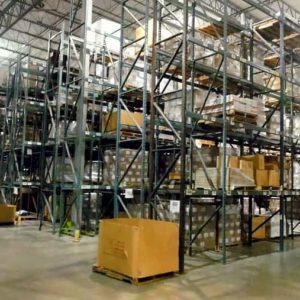 Headquartered in Indianapolis, our 350,000 square foot warehouse facility is centrally located, which allows for quick destinations not to mention another 300,000 sf throughout the nation full of new & used material handling equipment!